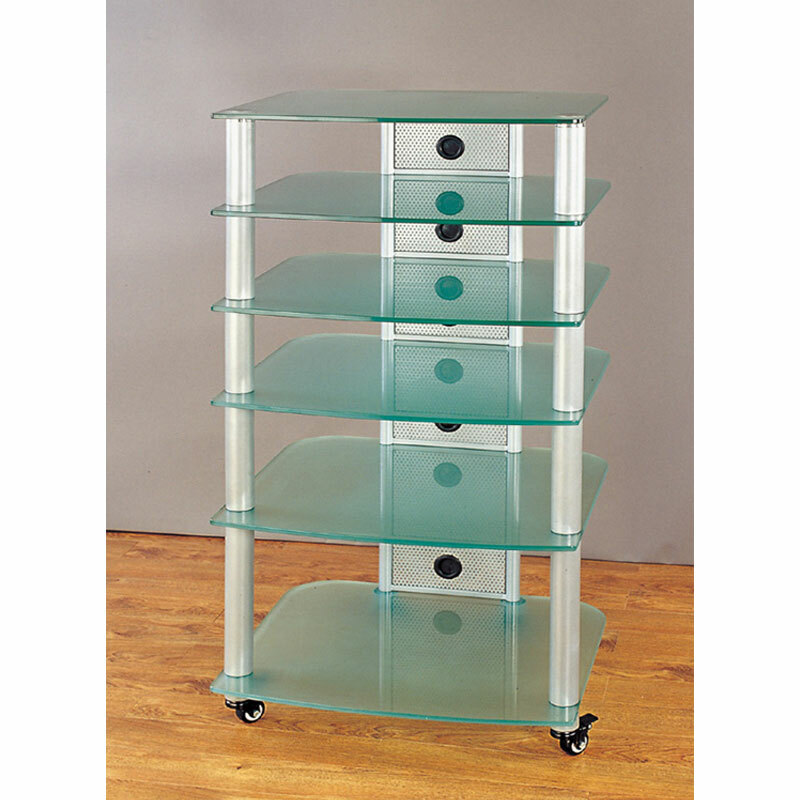 More on the VTI 6-Shelf Mobile Audio Rack (Silver with Frosted Glass) NGR406SF below. Call a VTI AV rack specialist at 1-800-807-1477. 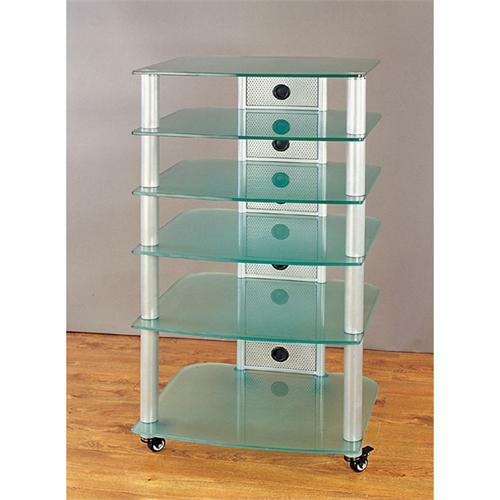 6 extra-thick (0.4"), clear, tempered glass shelves. Heavy-gauge metal poles designed to support nearly 350 pounds. A black powder coat metal finish. 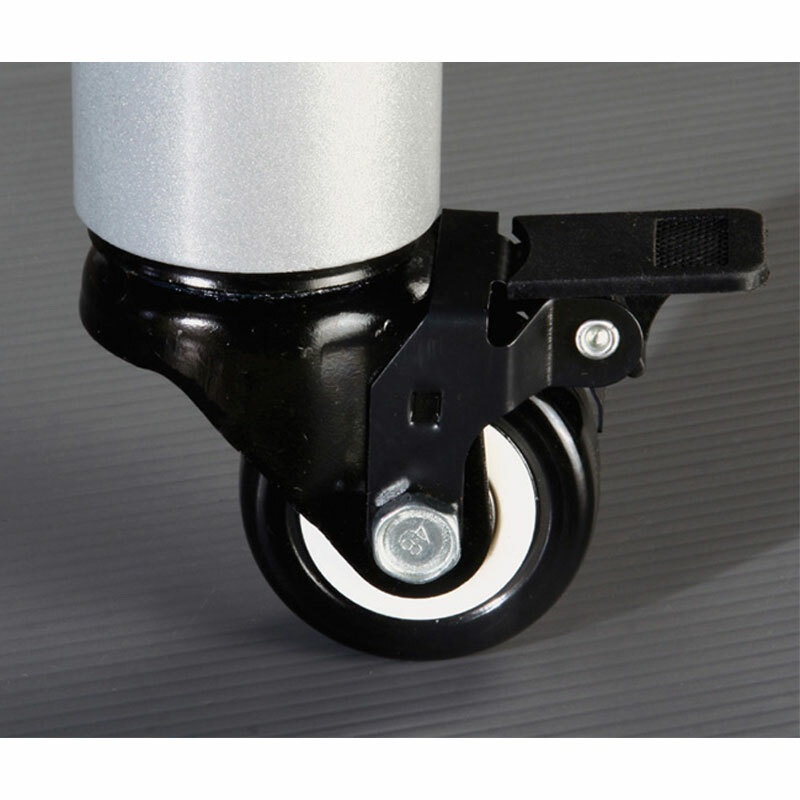 Heavy-duty rubber casters with built-in brakes for easy room-to-room movement on hard or carpeted flooring. Shelf Spacing: 13", 9", 7", 7" and 7"